Get ready to grow a mustache during the month formerly known as November. Movember challenges men to start clean-shaven on Movember 1st and grow just a moustache for 30 days to change the face of men’s health. adidas is partnering with the Movember Foundation to save and improve the lives of men affected by prostate cancer, testicular cancer and mental health problems. 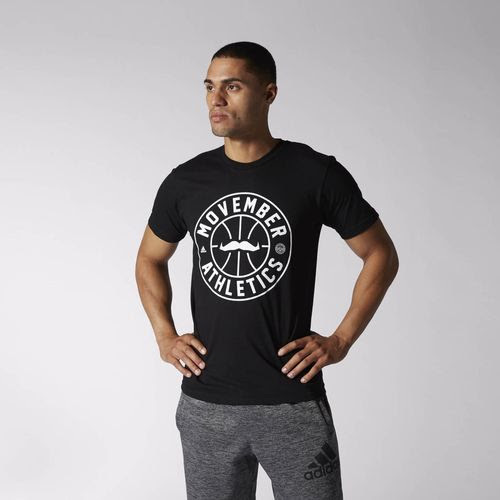 This year, adidas has designed a line of Movember graphic tees for any Movember teams across the country looking for additional ways to support the cause. A portion of the proceeds generated from these tees will go back to the Movember Foundation. Check out the entire adidas Movember collection, which also includes city-specific designs. The designs above are just a couple of the tees available.